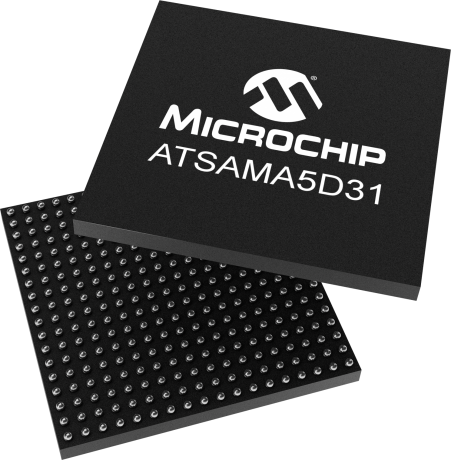 The SAMA5D3 series is a high-performance, ultra-low-power ARM Cortex-A5 processor-based MPU. The Cortex-A5 runs up to 536MHz and features a 128KB L2 cache and a floating-point unit. It supports multiple memories, including DDR2 and LPDDR2. It integrates powerful peripherals for connectivity: Gigabit EMAC and/or 10/100 EMAC, 3 HS USB ports, up to 2 CAN ports, up to 3 SDIO/SD/MMC, up to 7 UARTs; and for user interface applications: TFT LCD controller, touch controller, and a CMOS sensor (camera) interface. These devices offer application security functions to protect against hacking such as a hardware encryption engine supporting AES, 3DES, as well as secure Hash Algorithm (SHA) and True Random Number Generator (TRNG) and a secure boot loader. These devices come with a free main-lined Linux distribution. The SAMA5D3 Xplained is a fast prototyping and evaluation platform for microprocessor-based design. The board comes with a rich set of ready to use connectivity and storage peripherals and expansion headers for easy customization. A Linux distribution and software package gets you evaluating fast. A USB device connector can be used to power the board as well as programming and debugging it.